Over the years the real estate market in general has garnered much press both good and bad and on several platforms including the national and local levels. It certainly has been the content of many conversations as the personal effects of real estate touch individual families and lives. Many can recall all to well the market crash of 2007 and felt the painful sting of deflating home values and rising foreclosures. 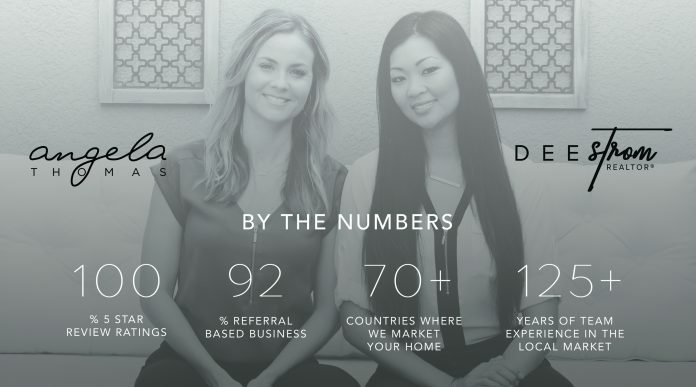 Dee and Angela of Florida Executive Realty closely monitor the status of both the local and national markets to keep their clients apprised of where their home value currently stands and to provide them with the most up to date and relevant information. As recent headlines seem to suggest, the looming question is what will the market do next? Are we headed towards the disaster of a decade past or will we continue to ride the wave with seemingly no end in sight? The answer itself lies in the cyclical nature of our market which proves itself over and over again by continuing the same pattern of expansion, peak, contraction and correction. The market naturally seeks equilibrium and makes natural adjustments to get there. home values. The relatively low interest rates and a growing economy have many buyers out looking to take advantage of the low cost of money. There are more buyers than homes to sell! Q: Is now a good time to sell? A: Yes, it’s a great time to sell. Being in the latter part of an expansion cycle allows sellers to take advantage of the maximum amount of appreciation. Q: I need to sell my home, but it’s not the springtime – should I wait? A: The timing of selling your home depends on your needs. Many people think homes only sell in the spring. However, now is a great time to sell since there are not many homes for sale on the open market. Correct pricing and proper preparation for your home prior to going on the market will help your home sell at anytime of the year. Contact Angela and Dee for a free market analysis and to prepare your home for the market today. Q: If it’s a good time to sell, does that mean it’s not a good time to buy? A: It is a great time to buy since the cost to borrow money remains at record low interest rates historically. Q: I’d like to purchase a home, where do I start? A: That’s great! Your first steps are to select a professional realtor you’d like to work with and a reputable lender. Ask Dee and Angela for outstanding lenders they know and trust on their team. Your lender will help you understand the costs involved with buying, including the type of loan you will qualify for, closing costs & down payment needed. You should ask for a signed preapproval letter. Armed with your pre – approval letter and a strong understanding of the costs involved with buying, your realtor can locate the right home for you based on your needs. Dee and Angela would love to help you get started. Check out zillow.com for their five star reviews. Next articleYour Home or Office Could Really Use a Super Cleaning!